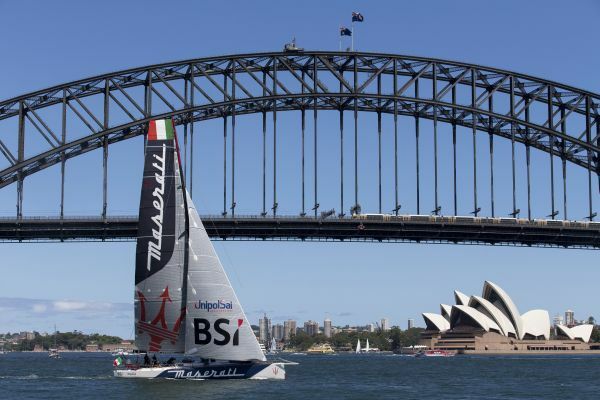 At exactly 13:00 local time (2:00 GMT, 3:00 Italian time) on 26 December, the VOR 70 Maserati, manned by skipper Giovanni Soldini and his 13-strong crew, will line out for the start of the 71st Rolex Sydney-Hobart Yacht Race, one of the world’s toughest and most prestigious sailing challenges. The 628-nautical mile event always throws up extreme conditions but every year attracts top-level, meticulously-prepared craft that battle it out to the last to take home this much-sought trophy. The Italian boat will be flanked by 110 others ranging in size between 9 and 30 metres and hailing from no less than 28 different nations. The fleet will number a slew of the world’s fastest maxi yachts including Comanche, the super maxi penned by VPLP-Verdier, Ragamuffin 100, Wild Oats XI and Rambler 88. Amongst Maserati’s toughest rivals will be the VOR 70 Black Jack, ex Telefonica. Four years Maserati’s junior, the latter has competed in two previous Sydney-Hobarts, finishing fourth and fifth, and is now based permanently in Australia to allow year round preparation for the event. Organised by the Cruising Yacht Club of Australia and the Royal Club of Tasmania, the Rolex Sydney-Hobart Yacht Race was launched in 1945. The current speed record was set in 2012 by the Australian yacht Wild Oats XI (winner of eight of the last 10 editions) which covered the distance in one day, 18 hours, 23 seconds and 12 hundredths of a second. There have also been some positively gruelling editions: in 1998, an unusually vicious storm resulted in the sinking of five boats and the deaths of six sailors. Of the 115 craft that cast off that year, just 44 made it to Hobart. In 2005, another storm meant that only 59 yachts out of 116 completed the race. 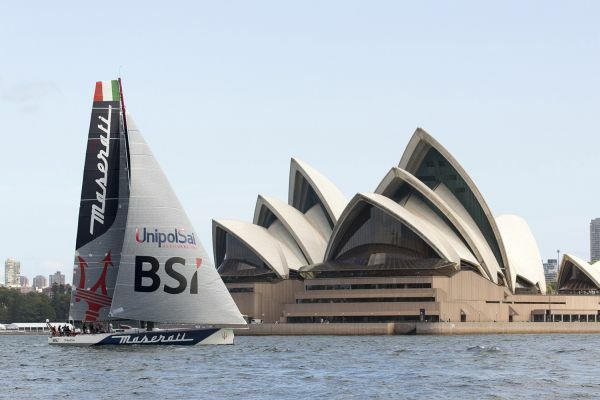 “Maserati is all set to tackle this incredibly tough race,” declared Soldini in Sydney. “In recentmonths, we’ve undertaken a series of preparatory works on the boat that have made her more robust and reliable than ever. We also have an exceptionally strong crew ready to face the very difficult weather conditions. This is the first time I’ve competed in the Sydney-Hobart but I have already sailed in these waters during round the worlds in 1994 and 1998. As ever though, we’ll be fighting tooth and nail”.